We are proud to say that these past three months three of our lab members received the honour of getting a doctorate degree. Erik te Woerd defended his topic: ‘Feeling the beat’ on the neurophysiology of cueing in Parkinson’s disease. 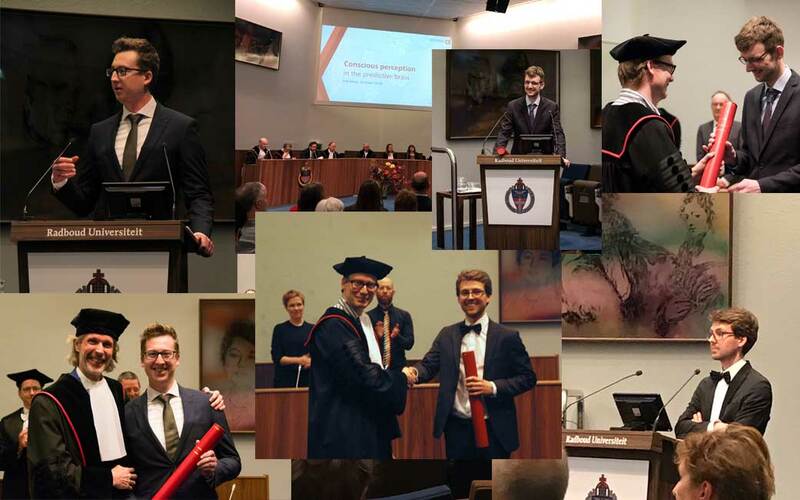 Next up was Pim Mostert who defended his dissertation named ‘The dynamics of visual representations under top down modulation’. Last, but not least was Erik Meijs on ‘conscious perception in the predictive brain’. We congratulate all three on their achievement and thank them for their contributions to the lab and of course to the field cognitive neuroscience. All their great work is now ready for all to read on our fresh website page where you can download all dissertations in pdf format.